Hello! Welcome to day 1 of Stamp Highlights! 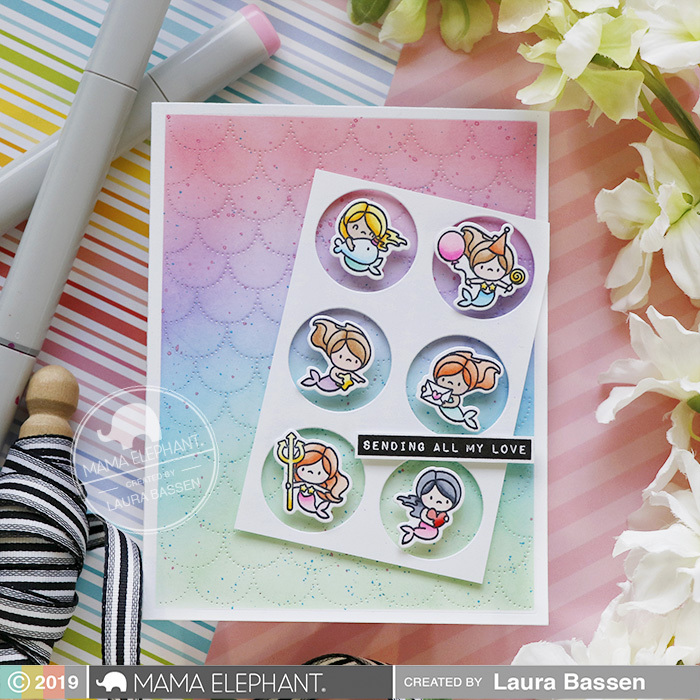 In the next few days, the Design Team will showcase a brand new stamp set and today's set is Little Mermaiden Agenda. We love all the different textures and vibrant colors in each project! All swoon worthy! Another fun shaker card by Amy using the Scales Cover and the Jar Shaker Creative Cuts. She attached the mermaid in the middle to a clear string to make her move when you shake the jar. 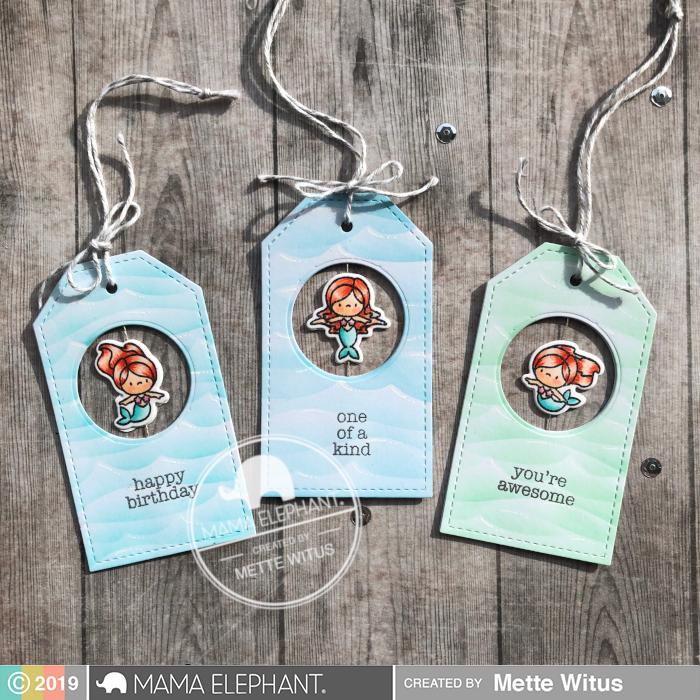 Mette created these adorable spinner tags which is chock full of fun! 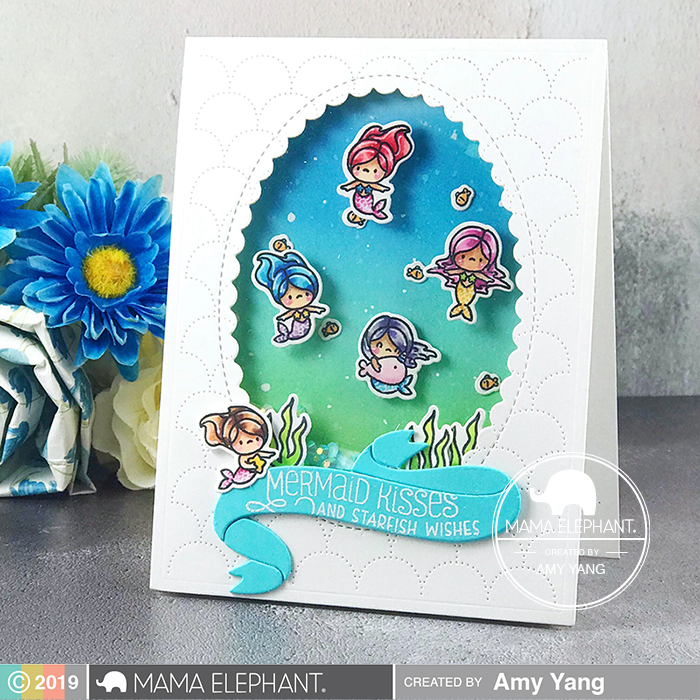 Amy made an adorable shaker card using the Scales Cover, Ribbon Banner, and Oval Scallop Frames Creative Cuts. 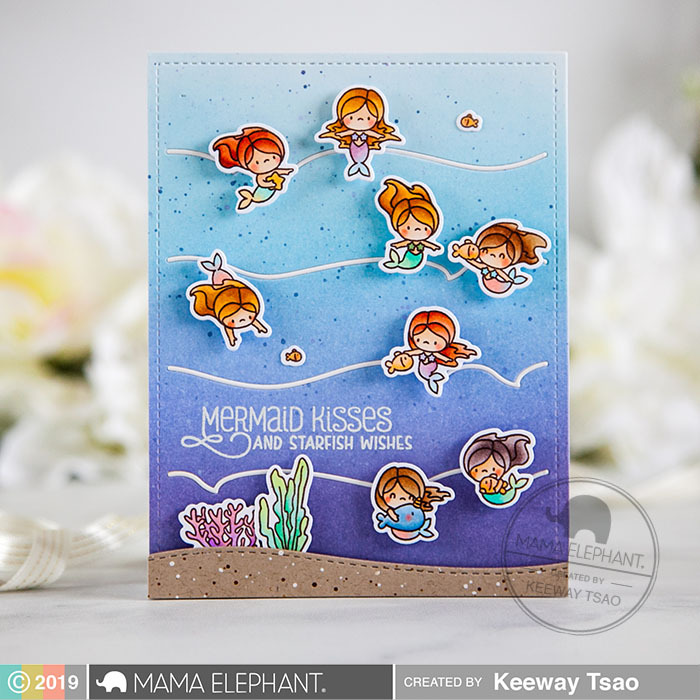 A sweet hello from Vera, she paired the Little Mermaiden Agenda with the Big Scripty Hello - Creative Cuts. Laura combined the Scales Cover & Circular Grid-Creative Cuts along with Occasional Labels for the sentiment to create this fun design. Keeway created a beautiful underwater scene with these mermaidens with our Making Waves Cover. 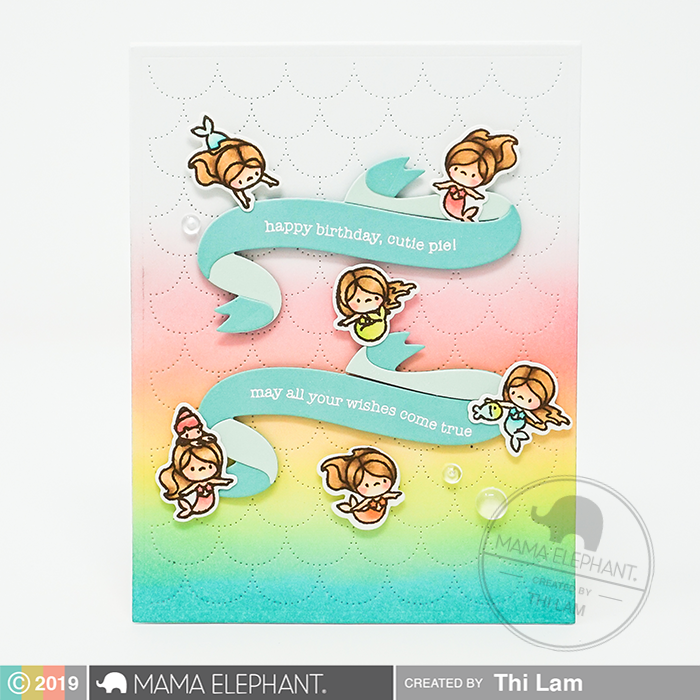 We adore this card of rainbow goodness from Thi! 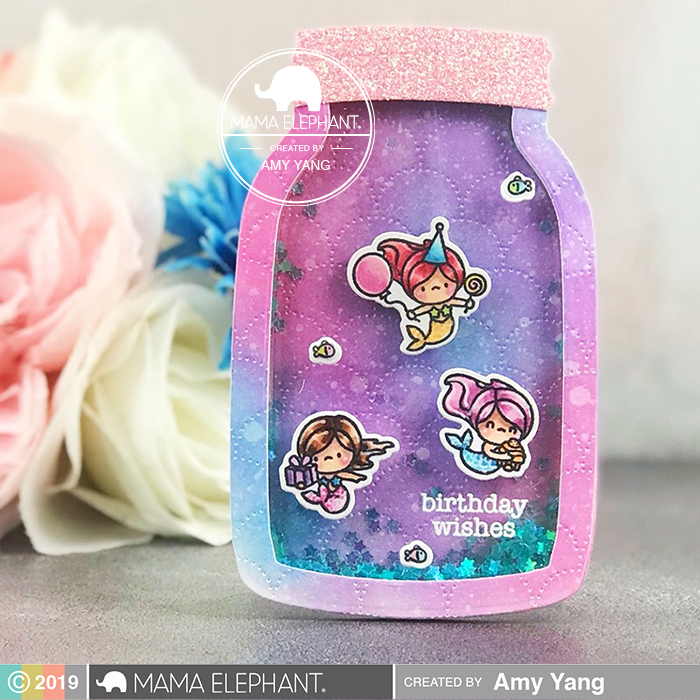 Birthday Messages sentiments fit perfectly in the new Ribbon Banner Creative Cuts and Scales Cover makes the perfect backdrop for these sweet Little Mermaidens. Sweet cards and tags! The mermaids are just adorable! All are so gorgeous and cute!! !